These next few weeks I am on a soul sourcing mission to bring you the best in renewable, sustainable and biodegradable products. Biodegradable plastics made from traditional petrochemicals, which are engineered to break down more quickly. 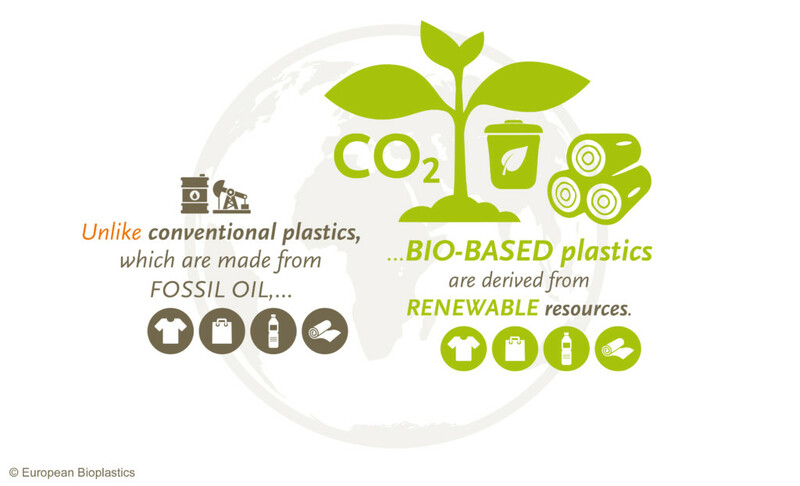 Bio-plastics are made from renewable, durable and biodegradable materials. Using waste products such as vegetable oil, corn starch, straw, wood chips and food waste. Made from agricultural by-products and used plastic bottles and other containers containing microorganisms. About eight percent of the world’s oil is used to make plastic, and advocates of bio-plastic often proclaim a reduction in this use as a major benefit. This argument rests on the idea that if a plastic item does release carbon once it’s discarded, as it degrades, bio-plastics will add less carbon to the atmosphere because they’re simply returning the carbon the plants sucked up while growing (instead of releasing carbon that had previously been trapped underground in the form of oil). Biodegradable plastics are a modern necessity for our ever-endangered environment. With the negative comments about the Tacx branded bottles, which are discarded by the riders during the Tour, our supplier decided to turn this into something positive and take on the challenge to manufacture an environmentally friendly bottle. 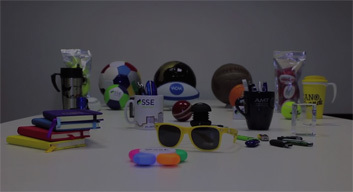 Launched in 2009, the Bio-Bottle became a huge success. It is biodegradable but maintains the same look and feel as standard sports bottles. The Tacx sponsored Tour de France teams have successfully used the Bio-Bottle during the last four Tours. The Bio-Bottle is made from a biodegradable polyethylene and a revolutionary masterbatch additive. The masterbatch works by encouraging and supporting the bacteria present. Sunlight and heat do not affect the process. Composting begins in a landfill facility; the process takes 1-5 years. 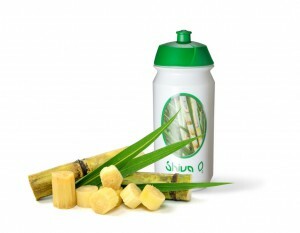 This bottle is made from sugarcane. A renewable raw material that contributes to reducing the greenhouse gas emissions! With volatile oil prices and growing concerns about greenhouse gas emissions, the chemical industry is looking for renewable alternatives to diversify its sources of raw materials. Sugarcane ethanol has emerged as an important ingredient to substitute for petroleum in the production of plastic. How does it work? During the growth process of the sugar cane, the crop takes CO2 out of the air, from the sugar cane we retrieve among others ethanol, the basis for polylactic acid – green plastic! Extracting the sugar cane residues (Bagasse) for fermentation into lactic acid produced by potato and tapioca starch. The Screw-on cap features a leak-proof pull lid. The striking triangular form of the cap guarantees a secure grip. The bottle has a large fill opening and is easy to clean. If you choose the Shiva Green you contribute to a better environment! Sturdy, reusable and long lasting.